A litter of police puppies have been getting their paws wet in training. The four 13-week-old pups only joined Britain's Northumbria Police last week, but training is well underway. Officers hope the Cocker Spaniels will go on to be specialist search dogs who can sniff out drugs, money, weapons and even explosives. 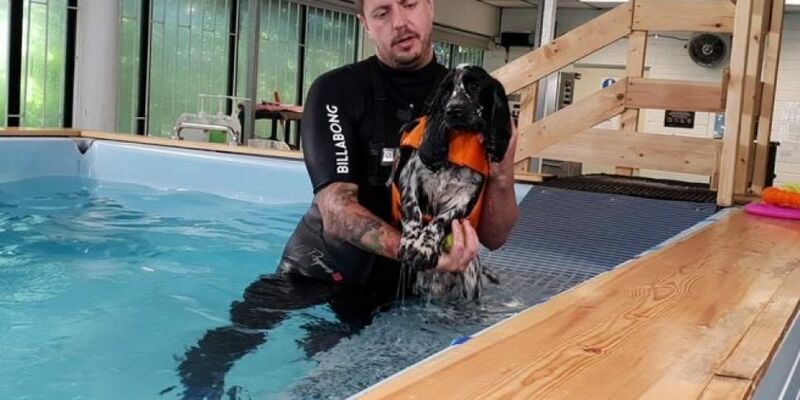 But for now they're just trying to keep their heads above water - literally - as Hartley, Herbert, Henry and Hunter took a dip in a local hydrotherapy pool. The puppies dived into the purpose-built pool at 'Woofs n Scruffs', after being invited by owner David Potts. He spotted a Facebook post Facebook about the new arrivals - and invited them along as a thank you to all the hard work of the Dog Section. Officers have said the workout will help build their strength, as well as get them used to water.